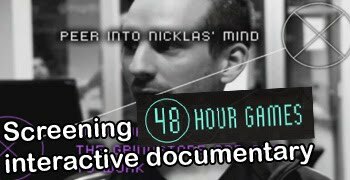 The interactive documentary, "48 hour games" (see trailer below) will be screened in The Big Classroom on Monday the 10th of December, 2012! Seats are limited, so be there early if you want to make sure you'll have a seat. This blog is intended to shed light on events, resources and tools relevant for people from The Animation Workshop.